The main purpose of the project Young ambassadors of intercultural dialogue (furthermore YAID) is to set strong foundations for multicultural societies to become intercultural societies which means that amongst different cultural, ethnical and other groups who are living together, relationships of open interaction, exchange and versatile recognition, respect of values and lifestyles are (re)established. The most important content pillar of the project YAID is the selection of young ambassadors of intercultural dialogue (herein referred to as young ambassadors) through educational modules “Hours of intercultural dialogue” on the theme Roma, Islam, LGBT community and migrants. The function of being a young ambassador is voluntary and means active representation of one of the member countries of the Council of Europe and the Mediterranean states and engagement in the peer to peer sensitization regarding the values of intercultural dialogue. Young ambassadors are also given the opportunity to cooperate with a peer mentor from the represented country in order to get first-hand information about the culture and at the same time to be the ambassadors of Slovenian culture in mentor’s country. 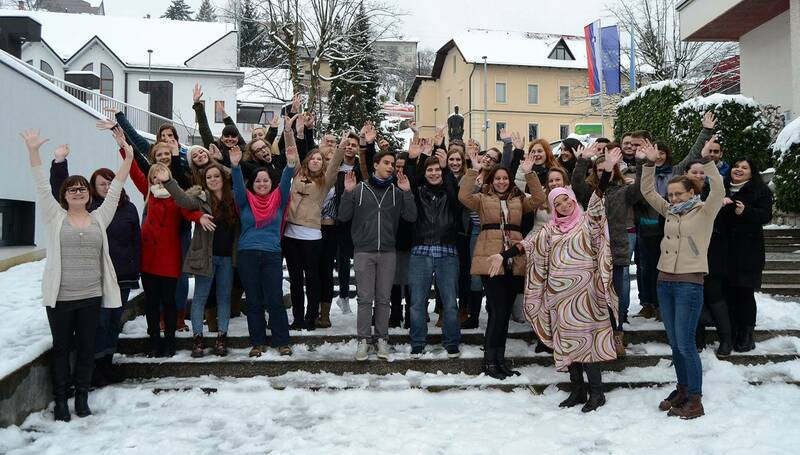 Youngsters aged between 12 and 18 years that are engaged in the project YAID directly contribute to intercultural dialogue in the open and pluralistic societies and develop opportunities for acquiring intercultural competences in one’s early days with various forms of active participation in society. In the project YAID also circumstances for quality non-formal education for youth workers are established through hands-on training. 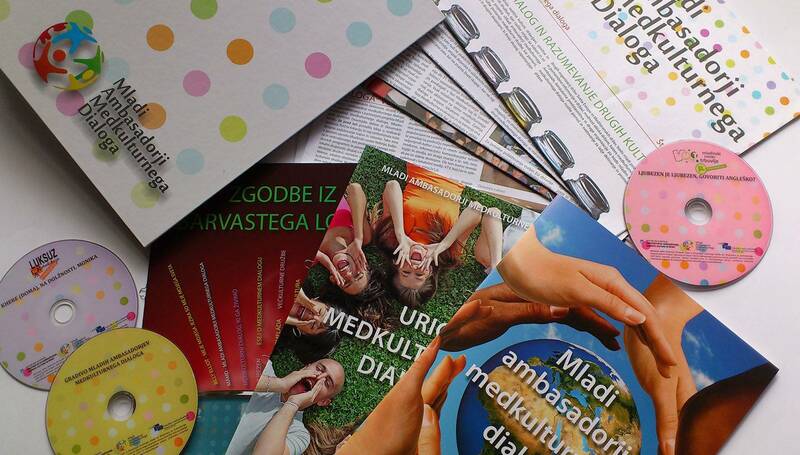 The educational modules include learning about other cultures, methods for promotion of intercultural dialogue and stimulation of coexistence of different cultures and through all mentioned help improve social, cultural and civil competences and strengthen active citizenship of youth and other pedagogical workers. Within the project YAID in the pillar “Culture” the accessibility of culture, sports and arts are being enhanced through organisation and implementation of intercultural events hand in hand with ethnic and cultural minorities such as LGBT community, elderly people associations, Roma, disabled people, religious and other cultural and ethnic minorities. Also sport events named “Igre kultur” (translation Culture games) are organized and carried out. The ethnic and cultural minority groups are actively involved throughout all the mentioned activities of the project in all four content pillars of the project YAID. The fourth content pillar of the project YAID is the informational and dissemination process regarding the theme intercultural dialogue. Through the years a lot of publications were published (you can find some of them on this page also in English language in section “Projekt-Publikacije”): “Zgodbe iz barvastega lonca” (translation Stories from the coloured pot), “Urice medkulturnega dialoga” (translation Hours of intercultural dialogue), two publications named “Mladi ambasadorji medkutlurnega dialoga” (translation Young ambassadors of intercultural dialogue) and 6 issues of the newspaper “Mladi ambasadorji medkulturnega dialoga”. In this content pillar also periodical surveys about the level of tolerance regarding different minority and ethnic cultures among youngsters are being implemented. Establishing intercultural dialogue is a process that should be based on direct contact and exchange of information, experiences and opinions between different cultures. Projects such as YAID are due to activation in different areas and through different channels big contributors to this cause. Project YAID promotes active citizenship and volunteering among young people, is linking programs of formal and non-formal educational institutions, raises the level of development of youth culture in local communities, sensitizes youngsters and is a strong brick in the establishment of a sustainable system for continuous development in progress-oriented intercultural relations in society. 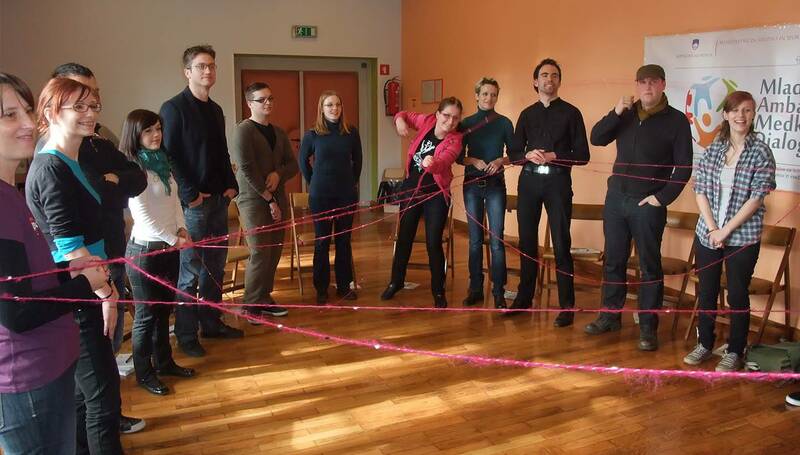 Project YAID was firstly implemented from 30th of April 2009 till 31st of August 2012 and was financed by the European Social Fund and Ministry of Education, Science and Sport of Republic of Slovenia within the Operational Programme ‘Human Resources Development’ for 2007-2013. Mladinski center Dravinjske doline (translation Youth Centre of Dravinja valley) from Slovenske Konjice, Slovenia was among twenty-three partners (among them were seven secondary schools) the leading partner in the project YAID. Because the project activities were very effective and very good accepted among the target groups three partners decided to find a way to keep it going. Ministry of Labour, Family and Social Affairs of Slovenia published on 30th of May 2012 a Public tender for the pre-selection of projects in program »PROGRESS – Section 4 – Antidiscrimination and Diversity Call for proposals: JUST/2012/PROG/AG/AD – Support to national activities aiming at combating discrimination and promoting equality«. The pre-application was accepted and the first upgrade of the project YAID could be applied directly to the open call of European Commission in the mentioned program. It was implemented by Mladinski center Dravinjske doline and two co-beneficiaries: Celjski mladinski center and Mladinski center Trbovlje from 1st of March 2013 till 1st of March 2014 also on the national level as primarily, but this time including twelve secondary schools. External partners of the project were through this implementation Youth network MaMa, Človekoljubno dobrodelno društvo UP, Arabsko kulturno društvo Rozana, Društvo Informacijski center Legebitra in Zveza Romov Slovenije. One of the results of the first upgrade of the project YAID is also this web page. During the years of implementation of the project YAID a lot of individuals and organisations from formal and non-formal youth sector identified with the project. After the consent of Mladinski center Dravinjske doline (the primary author and project idea owner) Mladinski svet Občine Slovenske Konjice (translation Local Youth Council of Slovenske Konjice) applied the second upgrade of the project YAID to public tender for EEA and Norwegian Financial Mechanisms 2009 -2014. The upgrade was accepted and was implemented from 15th of October 2014 till 14th of October 2015. The external partners of the project YAID were minority organisations mentioned in the first upgrade of the project, but in this implementation the project YAID was implemented on the local level and adjusted for primary schools for the first time. Mladinski center Dravinjske doline applied in 2016 for the third upgrade of the project YAID to the open call of Government communication office of Republic of Slovenia. The application was successful and the upgrade will be implemented from 1st of March till 31st of October 2016. The external partners will be primary schools that cooperated in the second upgrade of the project and schools from cities in which integration houses for refugees were established. Also in this upgrade the minority organisations will cooperate in Hours of intercultural dialogue and other foreseen activities.